In what BAM describes as “a lean and taut existential thriller, a clever throwback to the noir era,” Ryan O’Neil, not Ryan Gosling, plays a driver with a very special job: he drives getaways from robberies. Silent, sad, and cool at the wheel, this man can’t be caught. This 1971 film may echo Drive, but it takes a very different direction when a policeman becomes obsessed with catching this driver, even to the point of working with captured criminals. Expect some exciting car chases, double double crosses, and a whole lot of drama. 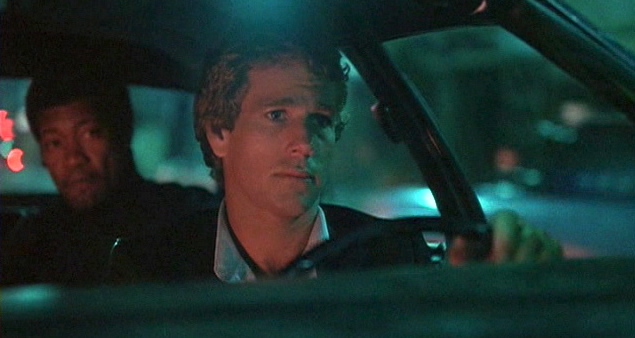 The Driver is playing at 2 and 7pm on Saturday at BAM’s Rose Cinema (30 Lafayette Ave, Brooklyn). Space Jam is playing Midnight on Friday and Saturday at the Landmark Sunshine Cinema (143 East Houston St.) Need I say more? MJ. Looney Tunes. This 1996 movie was a huge part of my childhood. It’s an animation/live action hybrid in which the Looney Tunes fight the basketball battle of their lives against aliens. In order to win, they recruit Michael Jordan. If you haven’t seen it, then you have missed so many ‘90s pop culture references. Do yourself a favor and see the best basketball movie ever made. How about a film that was banned in France for three years? Le Petit Soldat is playing at 1:10, 3:00, 4:50, 6:40, 8:30 and 10:20 pm on Sunday at the Film Forum (209 Houston St.) It’s a film by Jean Luc-Godard that deals with a French deserter and photographer during the Algerian war. He agrees to shoot a mysterious woman (played by Anna Karina, Godard’s future wife) who might be mixed up in the Algerian liberationists, and loses a $50 bet that he won’t fall in love with her. Assassinations and double agents, loyalty tests and deep personal drama—this looks like a solid way to spend your Sunday. Written by: Eric Wimer on March 8, 2013. It’s very good. Not quite top-shelf Godard, but you might like it more if he’s not your thing; has a couple of scenes that are really startlingly direct for him.